Posted in Photography, Gallery format on July 6, 2014 by See Lizard Art & Photography. Couples Shoot March 2014- so sweet! Fun couples shoot this March. Sweet couple that have known each other since high school- love!!! For more photos visit See Lizard’s Website. Posted in Photography and tagged couple, diamond, engagement, Love, pink, sweetheart, true, Wedding on March 25, 2014 by See Lizard Art & Photography. Had a fun time working with some photographers, models and photo enthusiasts doing face paint for their animal themed shoot! For more photos visit See Lizard site here! Posted in Face Painting, Photography and tagged animal, cheetah, face paint, face paint photo shoot, Face Painting, jungle, leopard, snow leopard, tiger on March 25, 2014 by See Lizard Art & Photography. Bridal Portrait Session. Married not too long ago, this couple re-celebrated their wedding with a gorgeous Bridal Session. Posted in Jewelry Making, Photography and tagged bridal portrait, bridal session, bride, flower, glamour, Photography, valentine's day, Wedding, white dress on February 9, 2014 by See Lizard Art & Photography. Playing with pet portrait settings… More photos here. Posted in About Us, Photography and tagged dog photography, maltese, pet portrait, Photography, See Lizard Art & Photography, Westie, yorkie on January 29, 2014 by See Lizard Art & Photography. Photos from the reception Art Show with co-artist friend Sara Ramirez and myself- See Lizard Art & Photography. Fun! Posted in Arts & Crafts, Music & Lifestyle, Photography and tagged art, art show, expression, Painting, Photography, See Lizard Art & Photography on December 2, 2013 by See Lizard Art & Photography. 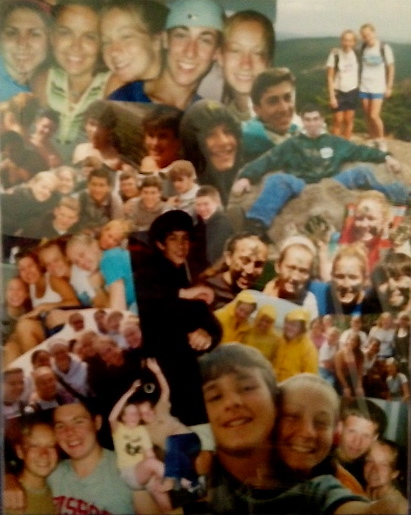 Pictures from one of my summer camps, Acadia Institute of Oceanography, study abroad, Cannes International, Large format photography with my man… a good life…. Posted in About Us, Photography and tagged Acadia Institute of Oceanography, Cannes International, good life, Large format photography, Love, maine, study abroad, summer camp on December 1, 2013 by See Lizard Art & Photography. Posted in Photography and tagged beautiful, beauty, bride, Disney, groom, Love, October, princess, sun, true love, Wedding on October 23, 2013 by See Lizard Art & Photography. Posted in Music & Lifestyle, Photography and tagged beauty, Bellagio, casino, Deadmua5. tiesto, EDC, EDC 2013, EDC Las Vegas, EDC Las Vegas 2013, Elvis, fun, gambling, las vegas, Las Vegas Motor Speedway, main stage, MGM Grand, owl, poker, Wedding chapel on August 31, 2013 by See Lizard Art & Photography. “> Are you looking for a mini vacation? How about a days escape to the Orlando Mind, Body, and Spirit Expo. On September 7, 2013, 9am-9pm, Orlando will experience a great day of high vibrations, learning, and connections. This one day festival– even though we wish it was a whole week!– will have vendors, artists, workshops, meditations, drumming and more. The Expo will have over 50 Central Florida and national vendors and an artist village selling artwork and products for healthy, happy living. The intention is to bring knowledge and provide a day of information access and more for those who promote conscious, healthy, and holistic living. Admission to the Expo includes access to all the vendors, artists and sales. As well as, opening and closing meditations held at 9 am and from 6-9pm hosted by Yotolon Mystery School. The closing ceremonies will include drumming and dancing from 6-9 pm. The Expo this year is excited to have The Yotolon Mystery School guide meditations this year. From South Florida, The Yotolon Mystery School is a spiritual community/organization providing the teachings of Yotolon and the flagship of Spiritual Teachings is Master Teacher Will I AM (ankuphara), providing metaphysical practice and understanding. The closing ceremony drum circle will be led by Jammin! Drum School, a local Orlando favorite and Central Florida drumming house name. Jammin! Drum School helps run and unite many of the Orlano Drum Circles and this will certainly be something to enjoy! Throughout the day there will also be several educational and moving workshops. These workshops will include Power Flow Yoga from Inspirit Yoga 11-12 pm and Namtar Yoga by Kay Devlin 1-2 pm. So whether you are a full believer and practitioner of holistic living or just beginning your journey down a healthier path, come join the community and learn about the spirit of this unique and loving experience at the Orlando Mind, Body, and Spirit Expo. The Expo will be held at the Allure Resort I-Drive (old Radisson Hotel International Drive) in Orlando, Florida. Tickets will be sold at door $20 each or $10 if you have liked/friend the Expo’s Facebook page or if you RSVP on the Facebook event page. Also, keep your eyes out for an Amazon Local Ad Deal coming up soon! More information available on the Expo’s website. Tell us more about the Orlando Mind, Body, and Spirit Expo, 2013 and what to expect. The idea for the event hit me in the head one day while I was taking a shower, you know, where all good ideas come from! It was really a divine spark of inspiration- and I feel blessed to have been show it by spirit. The vision was to unite businesses that promote living in a conscious way with consumers who do the same. Yogis, Nutrition Nuts, Meditators, Holistic Health Fans, and those curious about how they can improve their lives by changing their lifestyles will be able to connect with local businesses who support healthy living. We are talking total holistic health, Mind, Body, Spirit- so in addition to resources like holistic counselors to help you improve your mind, there will also be Yoga workshops on site to help fortify your body, and don’t forget about the Opening and Closing meditations to nurture your spirit. We are expecting 50 vendors on site ranging from Massage and Chiropractic care to Pranic Healing. The practitioners will be providing affordable on site mini treatments, vendors will have all sorts of products for you to purchase and enjoy, and artists will have special creations, in which you may invest, to beautify your life. There will be workshops all day and don’t forget to stay for the closing Meditation by Yotolon Mystery School and drum circle hosted by Jammin! Drum School. What year of Orlando Mind, Body, and Spirit Expo is this? This is our very first Orlando event! We have done previous events in the Tampa area and in the West Palm Beach area- some health related, other entertainment. This expo is the culmination of drawing together many passions at once to help ignite the conscious living community. What is something to really forward to at this years Expo? I personally think the entire event is something to look forward to. With so many vendors on site, workshops throughout the day, a restaurant and bar at the hotel, and the closing ceremonies it is almost like a mini spiritual festival. We are also getting approval to have some musicians perform throughout the day, so check our website closer to the event to find out what has been announced! With so many things happening at once, it is hard to pick a favorite! Can you tell us something special about this years Expo? The meditations provided by Yotolon Mystery School are life altering. Seriously, in just a small amount of time with brother Ankuphara,Will I AM, you will break down walls and remember (As he puts it) your true essence. There is one bright and early at 9:00 am and another at 5:00 pm, they are free with admission and if I were you (and I am) I would NOT miss out! They will also be bringing their healing pyramid and sacred geometry teachings. What they are offering to the world is just so amazing! They are from south Florida and do not travel to Orlando often, so be sure you visit with them now. What has been something you have enjoyed planning the Expo? What I have enjoyed the most is the way we have gotten support from everyone. So many local businesses are excited about this event and that is getting the community excited to attend. Seeing the vision in action is really exciting and beautiful. What is your connection to the conscious living, healthy living, and holistic approaches of Central Florida and elsewhere that has brought you to Orlando Mind, Body, and Spirit Expo? and started the journey to become a Massage Therapist in order to legally practice Energetic Therapies in the state of Florida. I felt as guided then as I do now, and Reiki helped me listen to that guidance on a deeper level. I had a bachelor’s degree and a “good job” with benefits and I gladly wiped my hands clean to follow a different path. Prior to starting massage school while I was a student at the University of South Florida, my main function besides “student” was “Event Coordinator”! I was on the homecoming board twice, coordinated events for a few different offices of the student government, and put together our sorority’s (then) 16 year traditional philanthropic event. I loved every second of it, but did not seem like a field I could actually turn into a career. After graduating Massage School, I was the assistant director for the Florida Health Expo in 2010 and my assistant director was the promotions captain for that event. What you are seeing now is the tying together of all the different areas of my life to create this event. I feel inspired to use all these unique experiences to create this event to be in service to the community. The Orlando community is so spread out and I feel uniting us all under one roof will build strength and connections between us. What sets Orlando Mind, Body, and Spirit Expo apart from other similar Expos? Where can we learn more about Orlando Mind, Body, and Spirit Expo? You can hit up our website at www.orlandomindbodyspirit.com or find us on Facebook at www.facebook.com/orlandoMBSexpo. Also, join the FB event page at https://www.facebook.com/events/504515009619826/. We are also recruiting volunteers! Please remember we are a small grass roots organization and are keeping things low cost for this event, we would love some help the day of show. In exchange for 3 hours of your time, we will give you and a friend free admission to the expo! Posted in Henna, Music & Lifestyle, Photography, Writings and tagged artists, Body, book, conscious, Drum Circle, drumming, Expo, healthy, Henna, holistic living, Inspirit Yoga, Interview, Jammin! Drum School, Kelly Raia Light, meditations, Mind, Namtar Yoga by Kay Devlin, Orlando, read, Spirit, vendors, volunteer, Will I AM, workshops, yoga, Yotolon Mystery School on August 13, 2013 by See Lizard Art & Photography.